forty cakes | food, travel, family and fun—join us as we go on a weird and wild ride through life. I know I am not alone when I proclaim my love for King Arthur Flour. 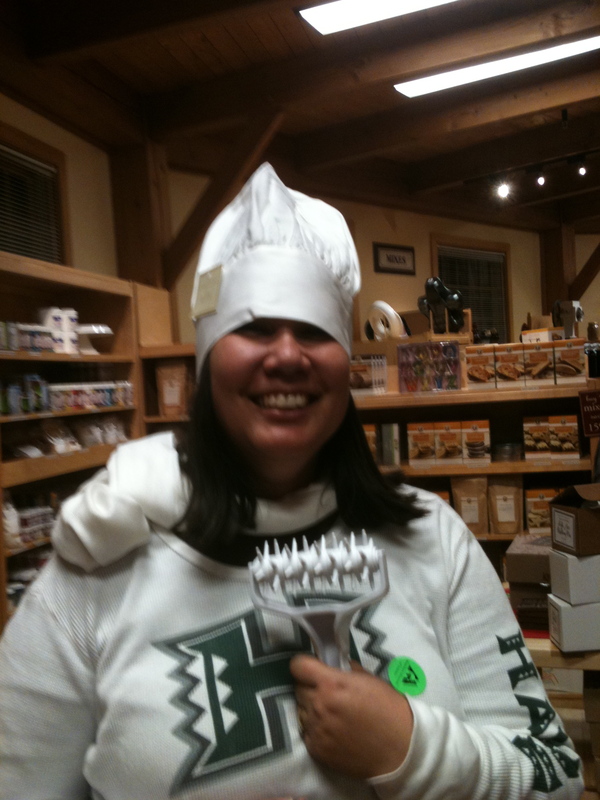 Non-bakers may wonder why one flour could be so much better than another and I have no real explanation but can firmly say, “It Just is!” A visit to King Arthur Flour’s Baker’s Shop was a must for me during our quick vacation to Vermont. 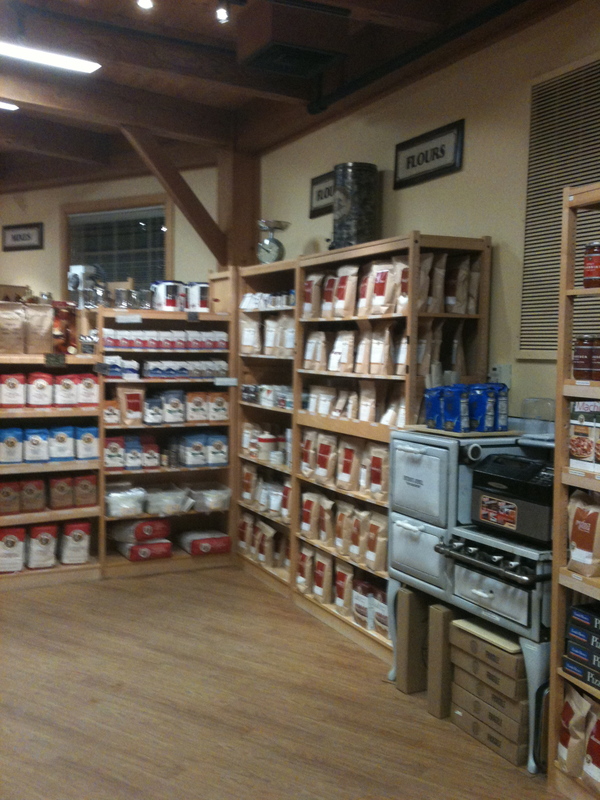 The Baker’s Store is located in Norwich, Vermont which is not to far from the Montshire Museum. If you get there early enough you may even get to try some of their freshly baked breads and goodies but we were moving slowly and we weren’t so lucky. They did have mini creme filled cupcakes for us to sample though—and they were delicious! Not to fear, we still got to peruse the aisles for all kinds of flours, baking mixes (including tons of gluten free varieties) and all kinds of exciting baker type stuff. I splurged and bought myself two whole vanilla beans (among other things) that I can’t wait to use. 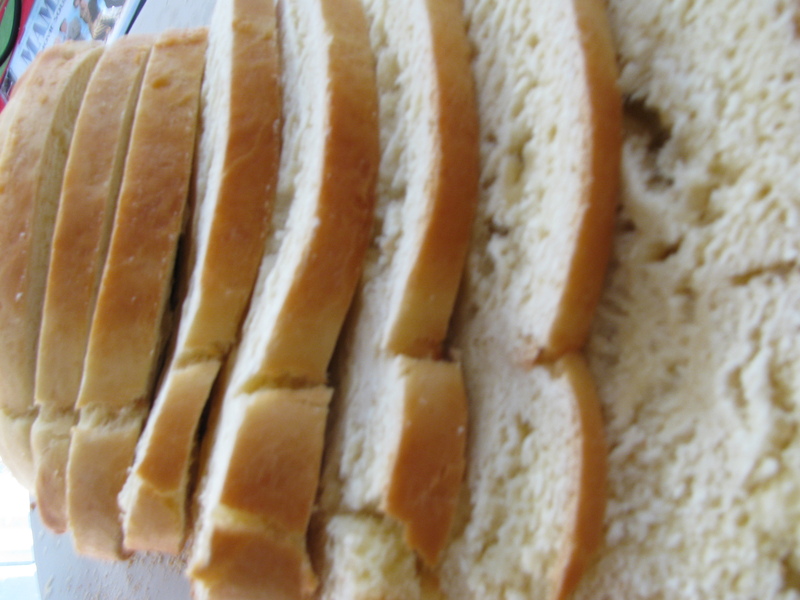 Luckily, I was able to find a King Arthur flour recipe online for Portuguese Sweet Bread. This recipe was a lot different than the one passed on to me from my aunt but it made a really nice loaf of bread–with perfect sweetness. My mom thought it should have been a bit fluffier and that maybe I had not allowed the yeast to work for long enough. I’m not sure. It has been so long since I tried the family recipe—maybe I need to give it one more shot. Pour the water into a large bowl and dissolve in it the sugar and yeast. Stir in the flour and set aside until the mixture is bubbly and expanded. Stir to dissolve and then let the mixture cool to lukewarm. Beat the eggs and yolk together . Add them and the milk mixture to the proofing sponge. Stir in 6 to 7 cups of flour, one cup at a time, until the dough comes cleanly away from the sides of the bowl. Turn the dough out onto a lightly floured board. Lightly oil the same bowl and set aside. Knead the dough, adding only enough flour to keep the dough from sticking to your hands and the board. When the dough is smooth and soft, place it in the oiled bowl. Turn to lightly oil the entire surface of the dough. Cover the bowl with greased plastic wrap (to keep the dough from sticking to it) and a clean towel. Let the dough rise in a warm place until doubled in bulk, 1 1/2 to 2 hours. Punch the dough down and divide into two equal pieces. You can decide to shape the dough into a round loaf or a regular rectangular loaf–which is what I did. What ever your choice, shape it and place in two greased pans. Cover loosely with plastic wrap (again greased) and cover with a clean towel. Let the loaves rise in a warm place until doubled in bulk, about 1 hour. Preheat your oven to 375°F for at least 15 minutes. Brush the loaves with the egg white and water mixture. Bake for 35 to 40 minutes, or until the loaves sound hollow when tapped on the bottom with a finger. When the bread is done, remove it from the oven and let cool on a wire rack. Quick side note: For those of you who read my last post about the release of my new and improved blog format—I have run into some (many) technical difficulties. I have been trying to resolve them and it is driving me crazy and I need to take a break from it. In the meantime, I will continue to post here and will let you know when the new site is ready for the big time. For me anyway. I look forward to our annual trip to Vermont so that I can eat cheese. Sure, I can get Vermont cheese at my local grocery store. But, I can’t buy cheese from Cobb Hill. And it may be the best cheese ever. Cobb Hill was started by Donella Meadows in Hartland Vermont and is described as a “live-work experiment.” The people of Cobb Hill aim to “live in a co-housing community comprised of people learning to live lightly on the earth while forming a connection to a community, the land, and a working farm.” It is exactly what you think of when you think of a sustainable community. And, for those of us on the outside who have a strong desire reduce our impact on the planet–it is a very cool place to visit and support. 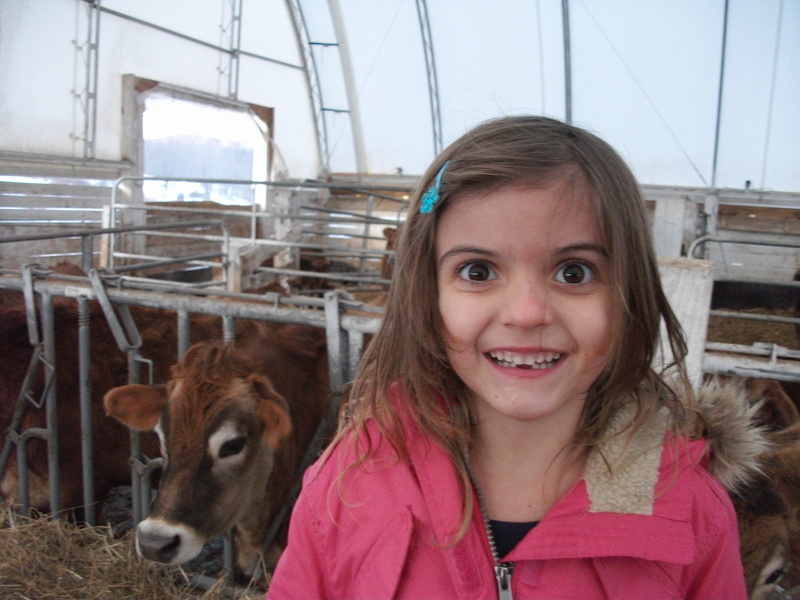 Just like you would expect on a working farm, they have chickens, sheep, llamas, and of course, cows. 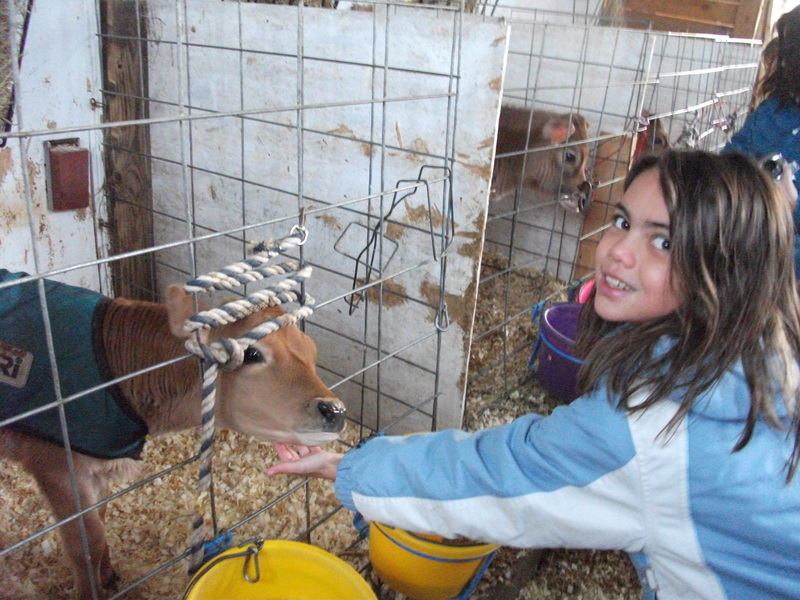 And, they encourage people to stop by and see the animals. They have cute baby cows. 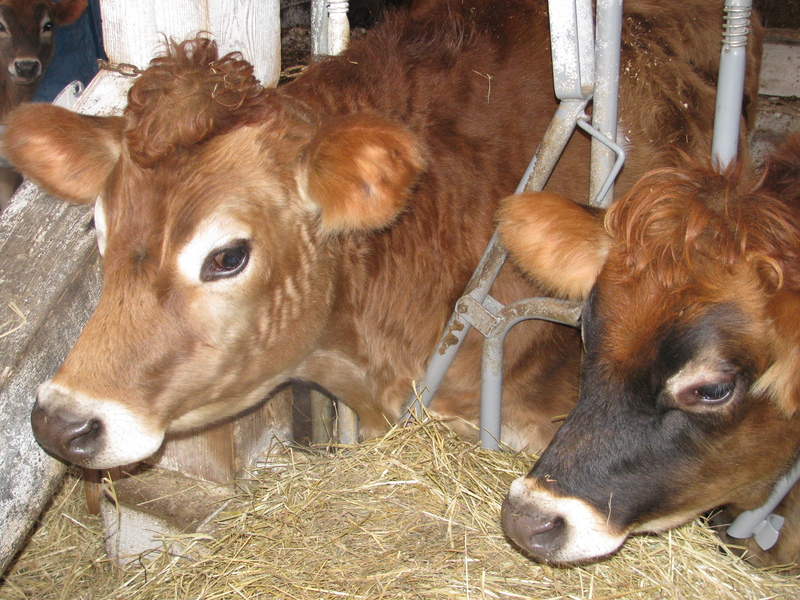 They have sweet mama cows. The little babies will even lick your hands. 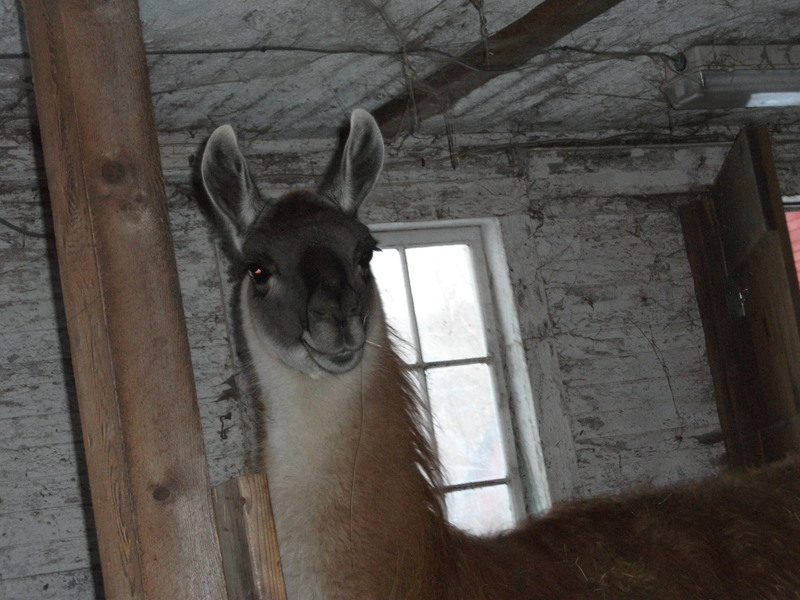 The llamas will look at you. 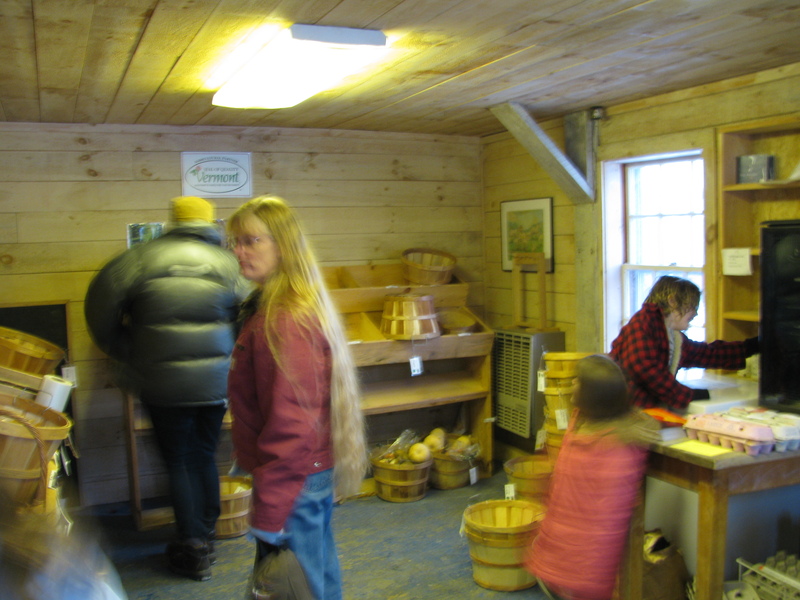 Their little store is open to purchase milk, cheese, eggs, some fresh vegetables, and locally raised meats. 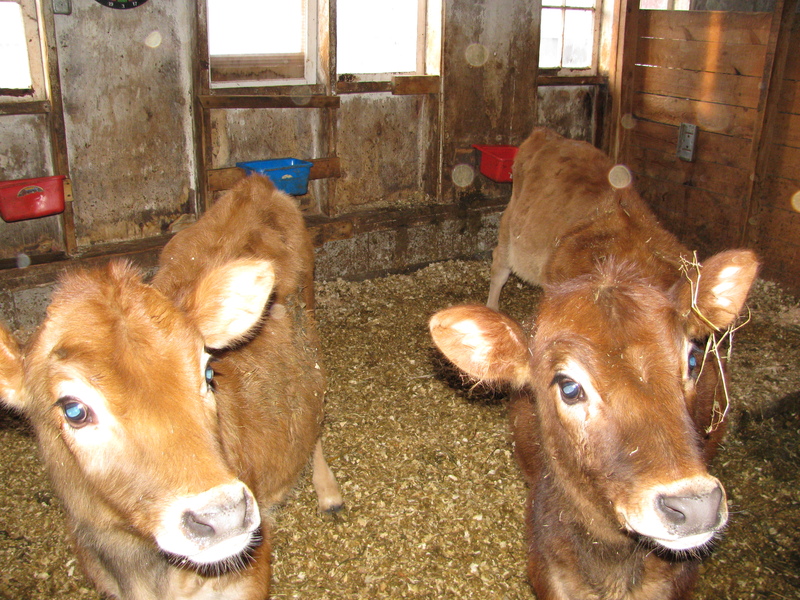 And, their famous RAW MILK CHEESE. 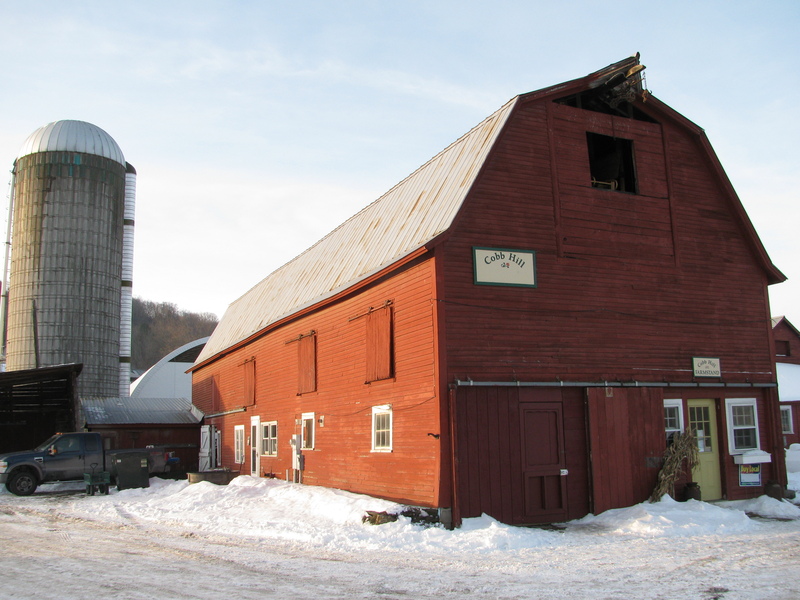 I know you can find their cheese at the local stores in and around Vermont and New Hampshire-but it is so much more special to go right to the source to get it. 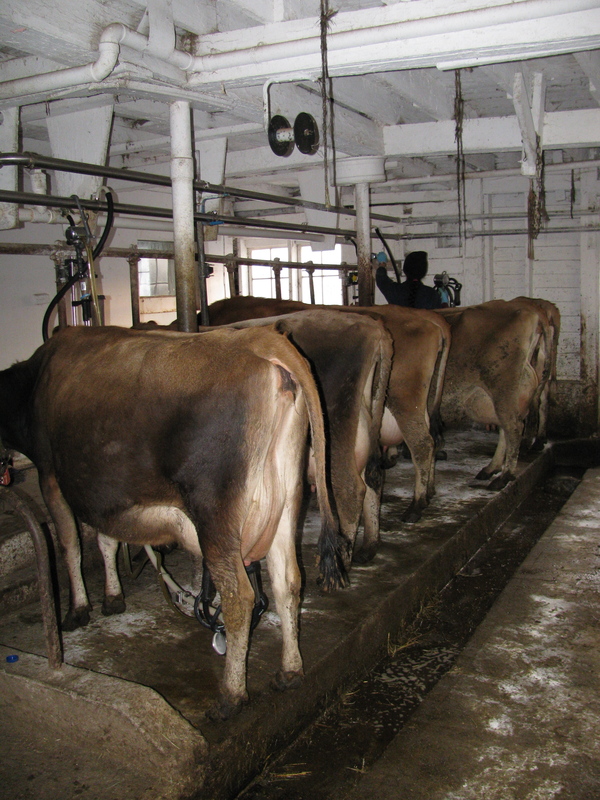 They were milking when we were there and it was really interesting for the kids to see where their milk comes from. It is amazing to me that many kids have no idea. If you are in the Southeastern Vermont area and in the mood for cheese—stop by Cobb Hill after a great lunch at Stella’s! You will be glad that you did. This is what happens when you let your brother baby-sit. I don’t quite understand it. 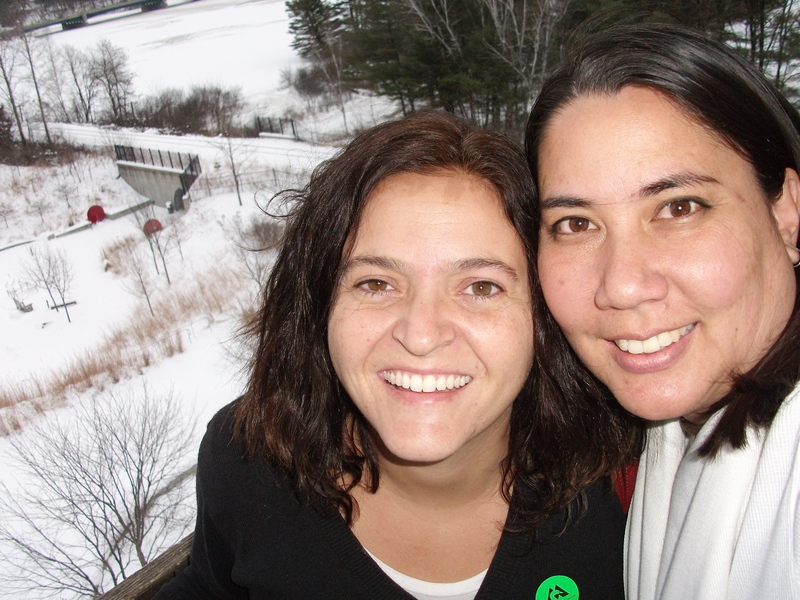 I have so much to say about our trip to Vermont, good food over the holidays and plans for the upcoming year. But, it doesn’t seem to want to come out. I have sat in front of the screen numerous times trying to hammer out a post only to scrap it and start another. I have so many unfinished posts just waiting for some attention. I am hoping this weekend will be the time for me to finish them up and get on with my blog resolutions. 1) I want to focus more on my blog this year. I have been at it for a little over a year and I love doing it. I love planning it, thinking about it and writing it. I especially love knowing that people are reading it and love, love, love comments! 2) I am moving to a self-supported site beginning on Monday, Jan 10th. I am excited to have a new look better organization. I still have a bit of work to do to get it where I want it –but that will come in time. If any of you have any suggestions on creating little buttons for blogs—please let me know. I am struggling over here. To launch my new and improved website—I will be hosting a giveaway. Stop by on Monday if you wanna win some cool stuff. 3) I want to write posts about health and fitness, sustainable living and family. There will be sections on the new Forty Cakes to do just that. 4) I want to work on photography. This was a plan for last year as well but as soon as I bought an SLR, I dropped it and broke the lens off of the body. Tomorrow, I will send it in for repair and will begin to learn the basics of good photography. So, these are my goals and hopes for my little blog in 2011. I have so many (non-blog related) little plans and goals for 2011. Starting on Monday, you can check them out on my Things-I-Want-To-Do List, Places-I-Want-To-Go List, and Food-I-Want-To-Eat List. Vermont is old country roads, small towns, and interesting little shops and restaurants. Stella’s in Hartland, VT is one the quaint little cafe’s we went to today. We felt bad that we barged into the little cafe at 1:45 (they close at 2:30) with four hungry kids and four hungry adults. The place is tiny and we took it over. The owner was very accomadating and didn’t seem to mind our little party getting out of control. Once the food arrived, there was silence. 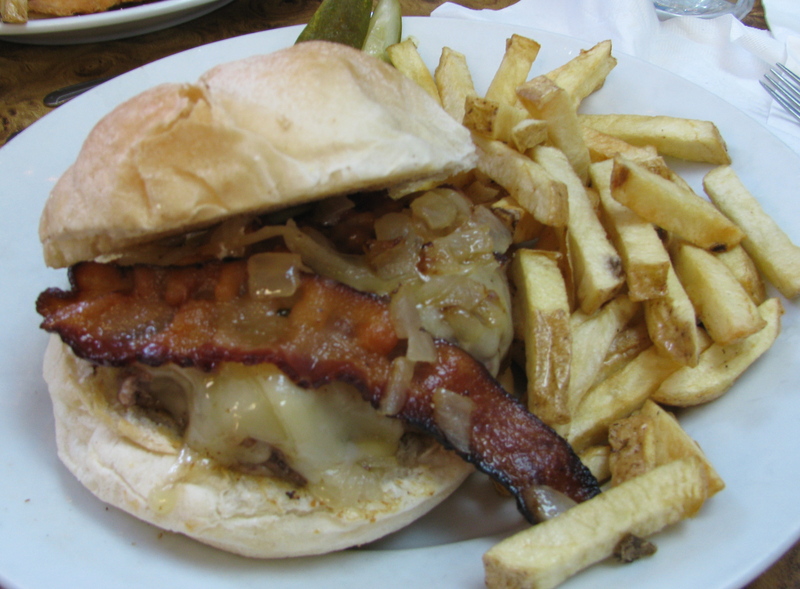 The Stella burger was deemed, “The best burger ever!” by The Bean. 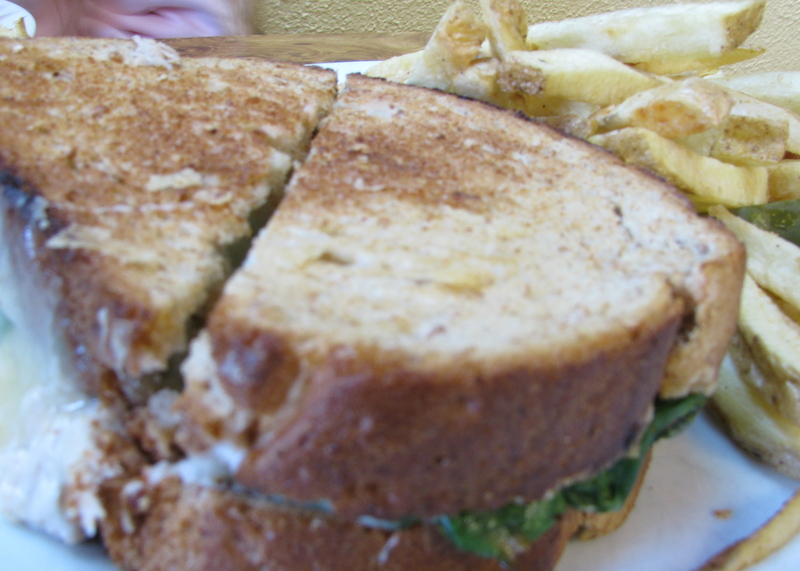 The special of the day was a fancy tuna melt with spinach and Vermont cheese. It got rave reviews! 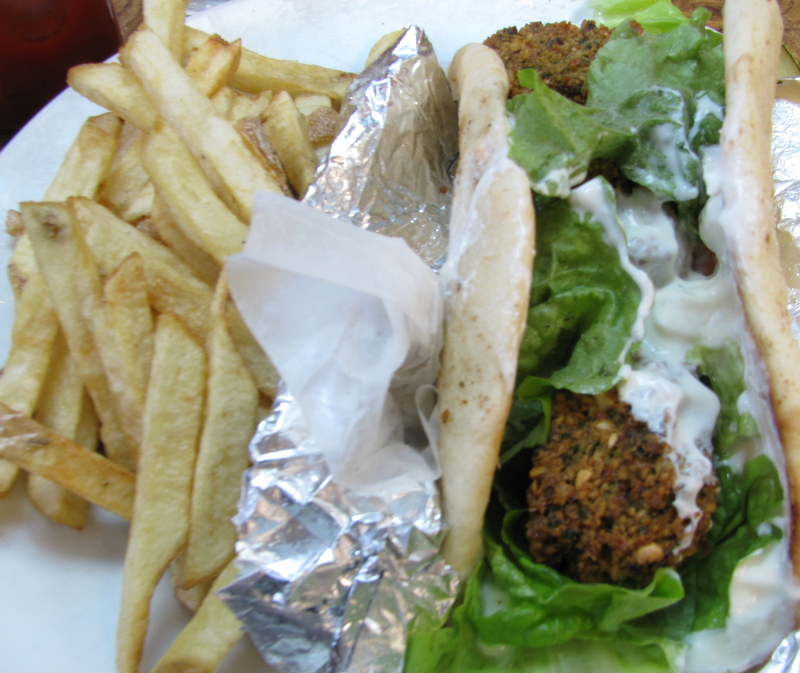 My falafel was good–not amazing–but I was very glad that it was on the menu. It was just what I was hungry for. The kids meals were good-sized and actually looked tasty and were eagerly scarfed down. But, the pie, oh my! 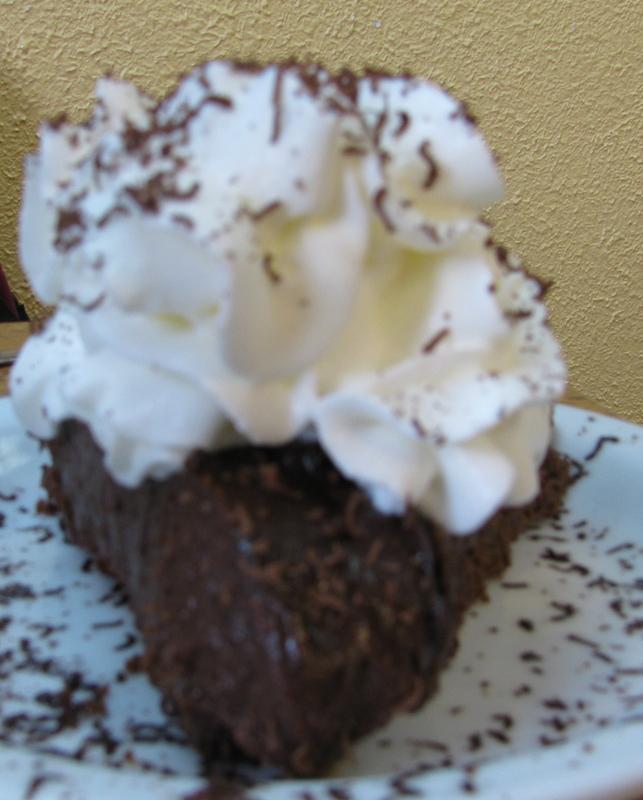 Their chocolate cream pie was touted as “World Famous” and I knew we had to try it. And, it was rich and creamy and delicious. So good. 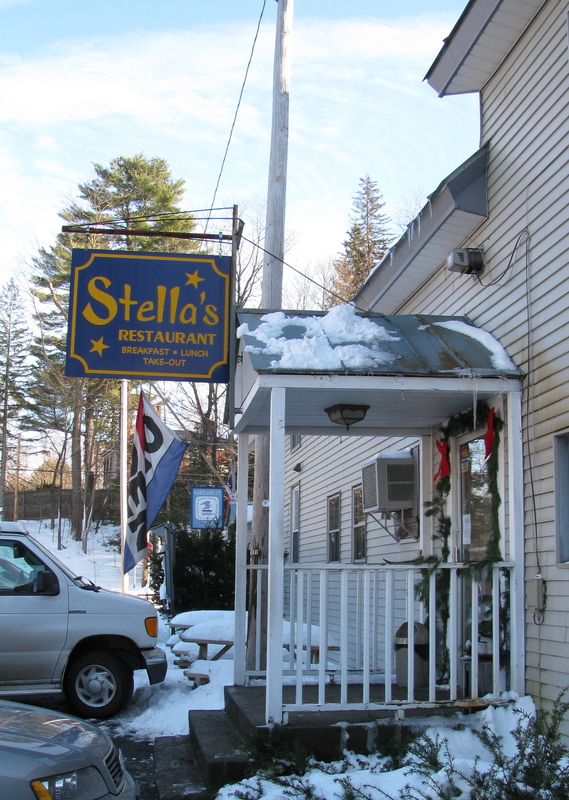 If you ever find yourself in Vermont, I highly recommend Stella’s. 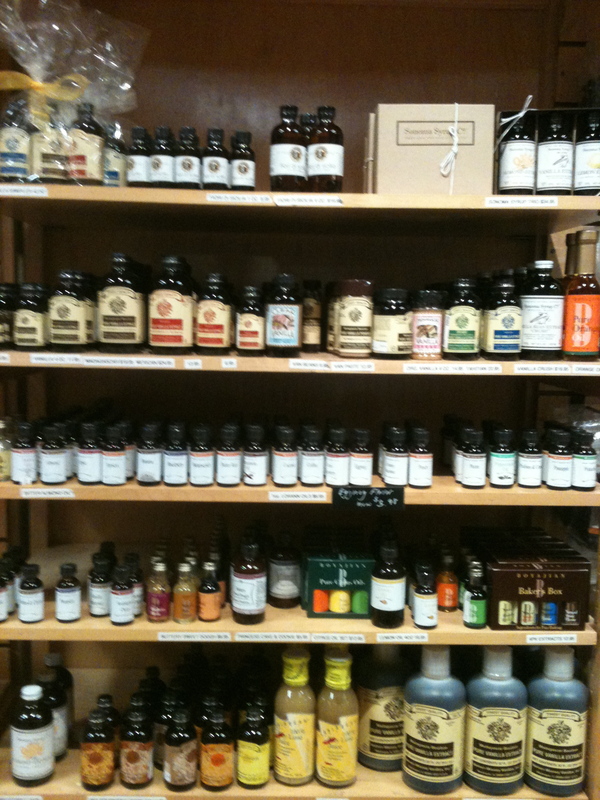 Oh, and not only are they very accommodating they try to get everything from local sources. 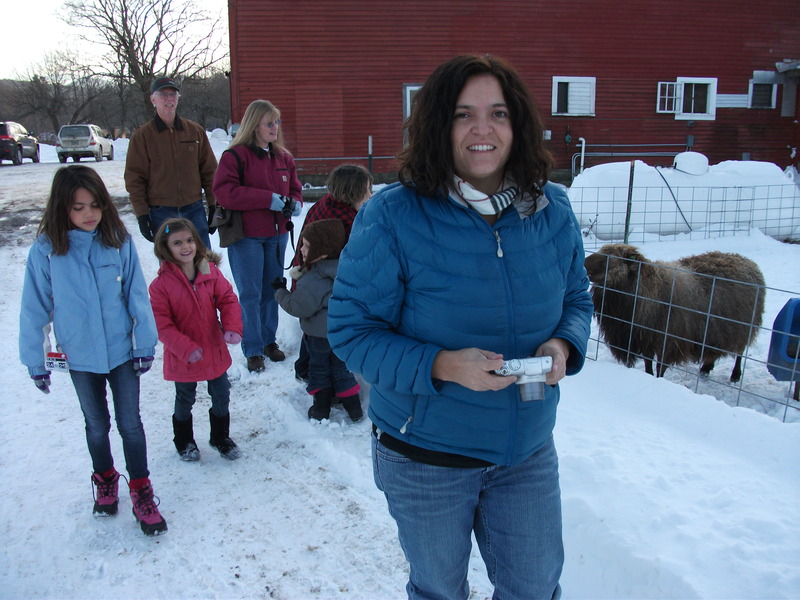 Vermont beef, cheese and eggs, and even local ice creams and sorbets. 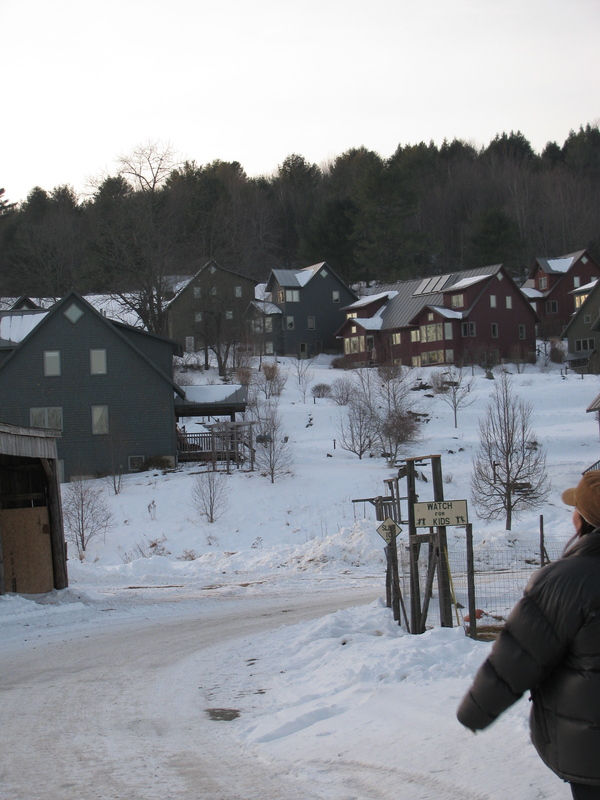 We are in Vermont–celebrating New Year’s with my in-laws. Beautiful, snowy, quiet, and laid back Vermont. So low-tech that I feel kind of guilty working on my blog here. This is the kind of place you ask your neighbor for advice—not the internet. But, we are doing so many neat things that I want to share all of our adventures. 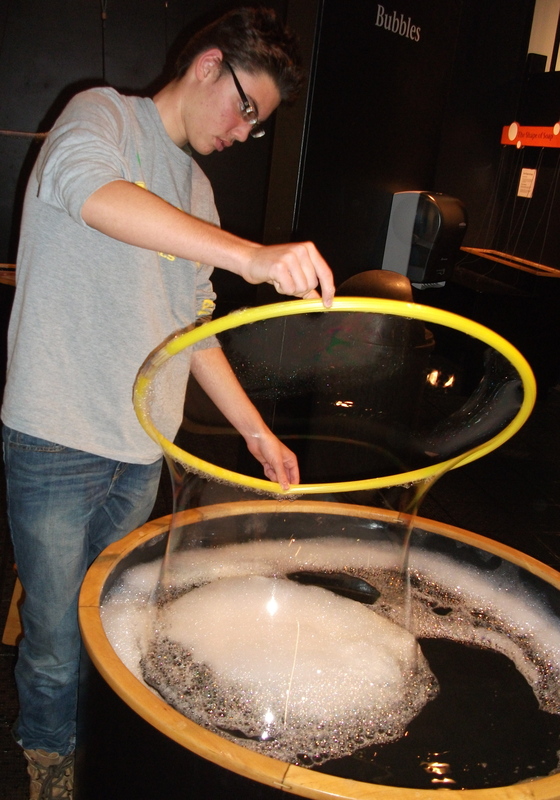 Our first mission was the Montshire Museum —a children’s science museum in Norwich, Vermont–just across from the Connecticut river. Everytime we are here, we visit the Montshire and the kids always love it. This particular time was especially fun. We had never told Grandpa and Grandma that we were coming. Only my sister in law knew and she was able to keep it a surprise. 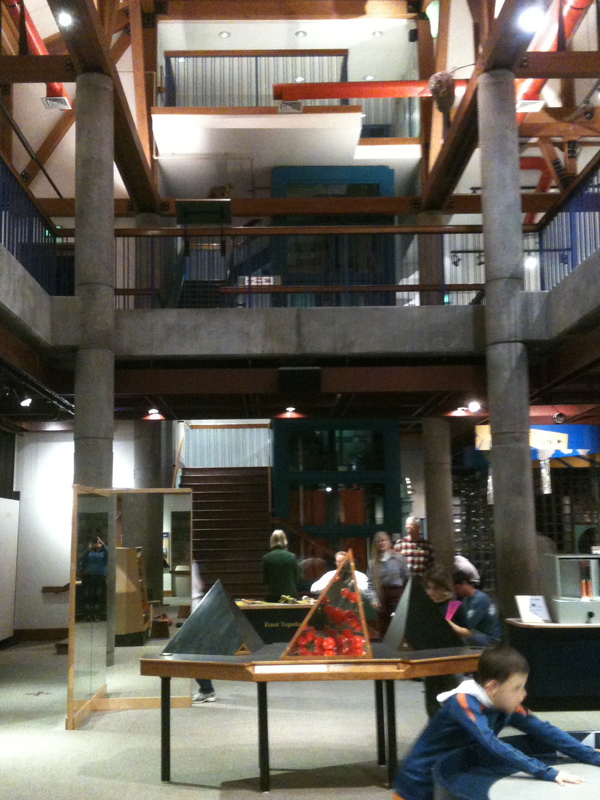 The plan was to surprise them all at the Montshire Museum. This would be a real surprise as we live in Florida and we insisted we couldn’t make it this year. We watched from the second floor windows as they were getting out of the car. We watched from the second floor overlook as they walked in and paid. We sent the kids downstairs to just say “Hi!” to their grandpa. The plan was to play it cool and act casual. I think Rosie and The Bean were a little confused about what to do next. They just stood there. And waited for someone to recognize them. Grandpa walked right past them with no sign of recognition. And they were a little afraid to approach him. It was a great moment. Luckily, my sister in law got great video of everyone’s surprised faces. So, the Montshire is a great place to pull off a huge family surprise, or just good place to get let kids run around and learn about science. We have only gone in the winter but there are a bunch of neat trails that start from the grounds that would be really fun to explore in the summer. There are all kinds of puzzles, and other hands on activities to keep young (and old) ones occupied. 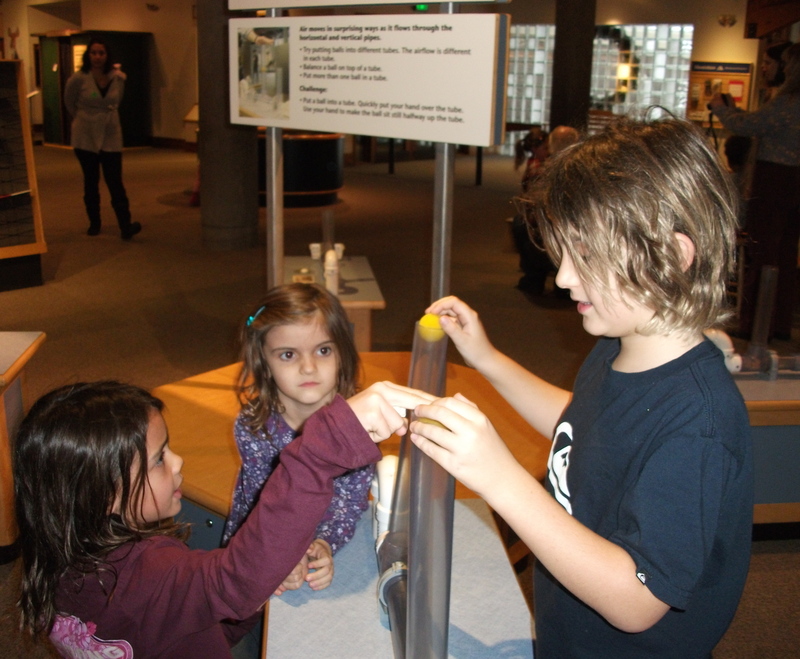 The exhibits change regularly and while we were there we saw an exhibit on how toys work. It was a great introduction to electric currents and pulleys. One of the great things about the Montshire is it is fairly small so, a couple of hours is the perfect amount of time to see everything. 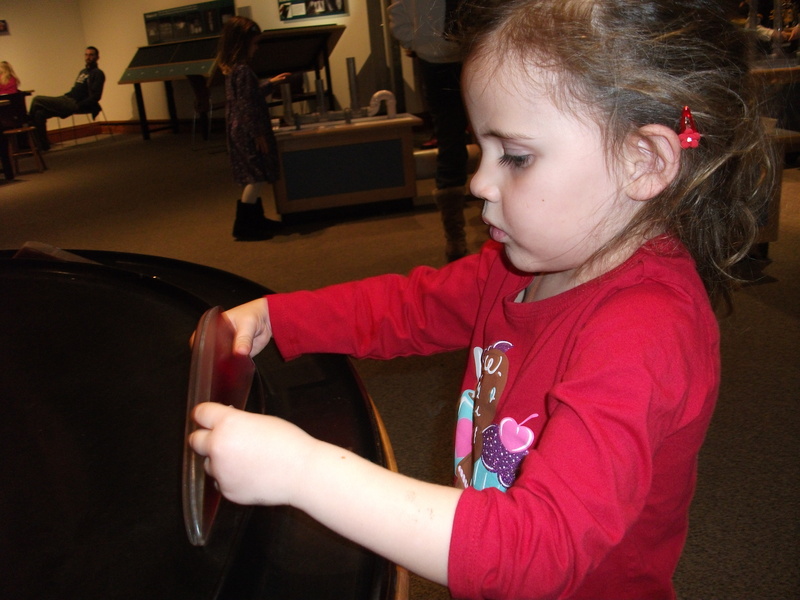 It has never been too crowded when we have been there so we feel comfortable letting the kids roam more freely than we would at larger children’s museums. 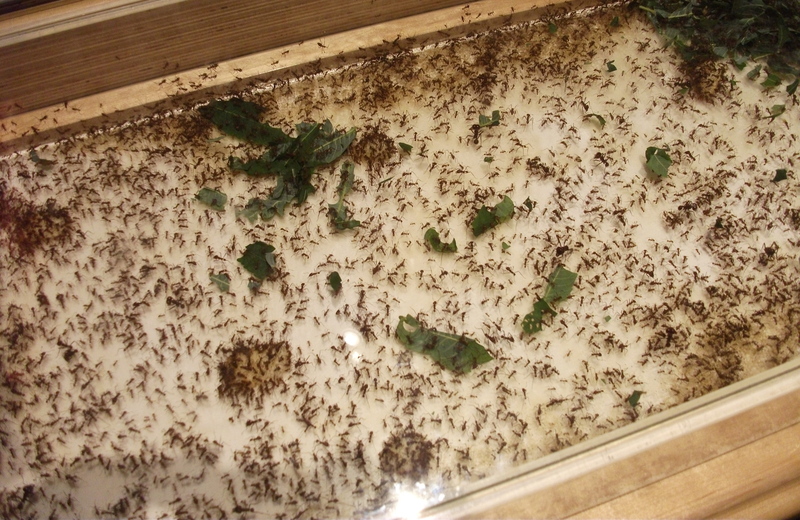 By the way, my favorite exhibit at the Montshire are the leafcutter ants….I could spend hours just looking for the queen ant and watching them break leaves into bite sized pieces and carry them back to their fungus gardens. I watched Food Inc. a couple of weeks ago and I was horrified. I bought the movie about a year ago but I had heard so much about it, I was actually scared to watch it. But, in my biodiversity class we were discussing large scale farming and agriculture and it seemed the perfect introduction to the topic. If you haven’t seen it, you should..but be prepared for some things that you don’t want to see or even hear about. I don’t want to get into it here , since I want you to read this post and get hungery–not sick. But, I do think it is important to watch. It is good stuff to know. And think about. I was vegan for a long time and vegetarian for even longer. But this year, I started to eat chicken and turkey–mainly as another quick protein source and it is something the kids like. Food Inc., got me to thinking about where we get our chicken and other meats and what I am feeding to my kids. I am on a mission next year to find a supplier of local, small scale chicken and other meats. I may even attempt to add a couple of chickens to our backyard (for eggs)–although we have lots of alligators, raccoons, and otters–it may not be such a good idea. In the meantime, I decided to be a little more thoughtful when I bake. I already buy organic, free range eggs from Jessica’s Organic Farm but what about milk and butter? I started thinking about becoming vegan again. Could I do it? The best way to decide was to experiment with vegan cupcakes. Luckily, it was the last week of class for my students and I thought they could use a little vegan sweets to liven up their tired bodies. I used recipes from “Vegan Cupcakes Take Over the World” and made both vanilla cupcakes with cocoa buttercream and chocolate cupcakes with white buttercream. 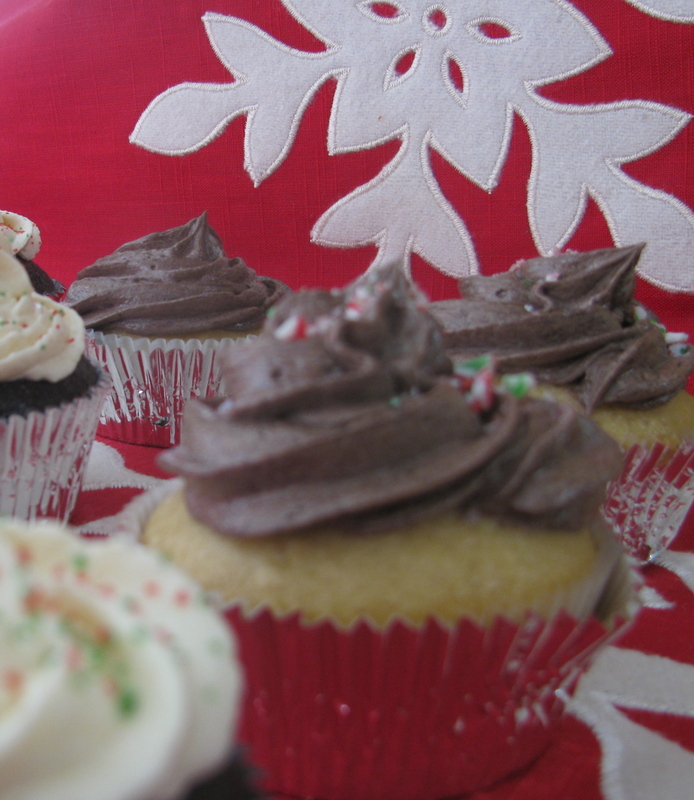 I was on a baking mission…..It was great-the house was quiet, it was cold outside, the kitchen smelled heavenly. And the cupcakes were so good. I ate three. If you didn’t know, you wouldn’t be able to tell that they were vegan. Especially the chocolate cake and the frosting. Serve this right away to starving artist (or starving anyone) and know that you are doing something nice for someone and for the planet. 3. Fold the dry ingredients into the wet. Stir until combined. Lumps are OK! 4. Scoop about 1/4 cup into pre-lined muffin tins. 5. Bake at 350 degrees for about 18 minutes. 6. Let cool completely before frosting with the Vegan Buttercream. This recipe make A LOT so if you only need enough for 12 or so cupcakes–half it. 1) Beat shortening and margarine together until well combined and fluffy. 2) Add sugar and beat for 3 minutes. 3) Add vanilla and soy milk and beat until fluffy (about 5-7) minutes. 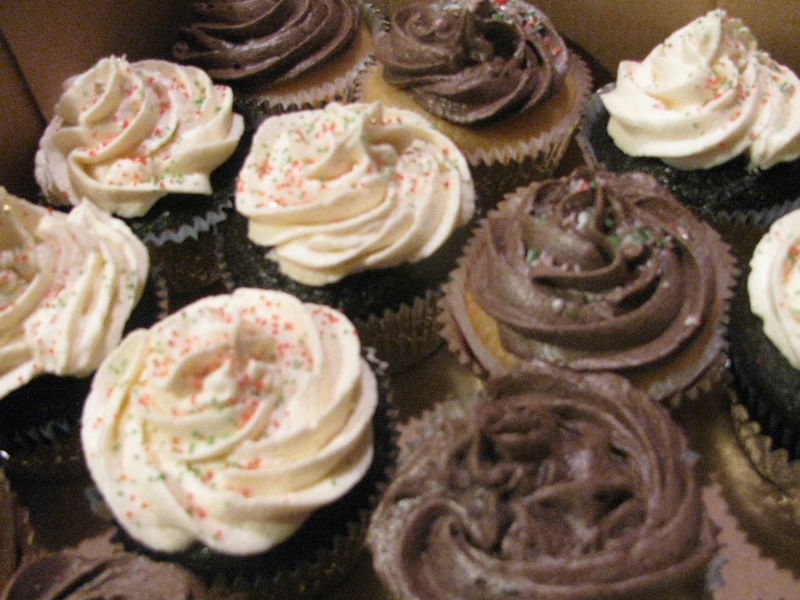 4) Fill up a pastry bag and pipe piles of frosting on your cooled cupcakes. 1) Cream together the margarine and shortening. 2) Add the cocoa powder and mix it up. 3) Add the confectioners sugar (not all at once but a little bit at a time). 4) Splash in a little soymilk and finally add the vanilla. 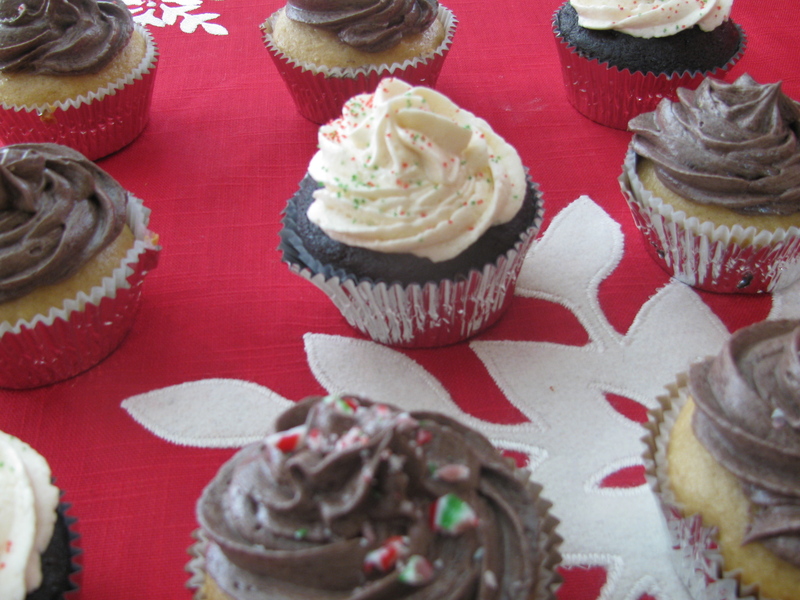 5) Whip it up for 5-7 minutes and pipe it on to cooled cupcakes. 6) I topped mine with crushed candycanes (festive!) but you could do whatever you want to make them look even prettier. 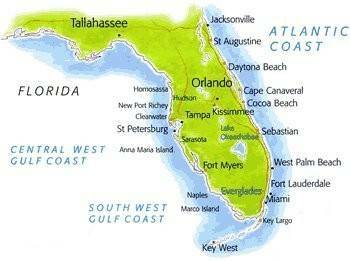 We will be on our way to Kissimmee this weekend–exploring all alot of the holiday activities in and around Kissimmee. I will be posting here to Forty Cakes and to the Kissimmee Convention and Visitors Bureau blog at i.seekissimme.com. Their posts may be delayed a couple of days–but check them out. We have so much exploring to do and we are all so excited to get in the holiday spirit. Be sure to check it out. and last year only received one. I was so disappointed–my own mother didn’t even send me a Christmas card. And, I realized that to get Christmas cards–I would need to send Christmas cards. It’s not that I don’t want to send them out but I just have never gotten into the habit. I don’t think I even have most of my friends real home addresses. This year it will all change. I am going to send out Christmas cards (before Christmas!) (I hope.) I realize this does not give me very much time but I work best under pressure. And the pressure is mounting. I started looking at all of the card options on Shutterfly and there are a ton of options. I am having a VERY difficult time deciding. This one is great but all of these photos were taken last Christmas…a little dated, don’t you think? Create modern Christmas photo cards at Shutterfly. 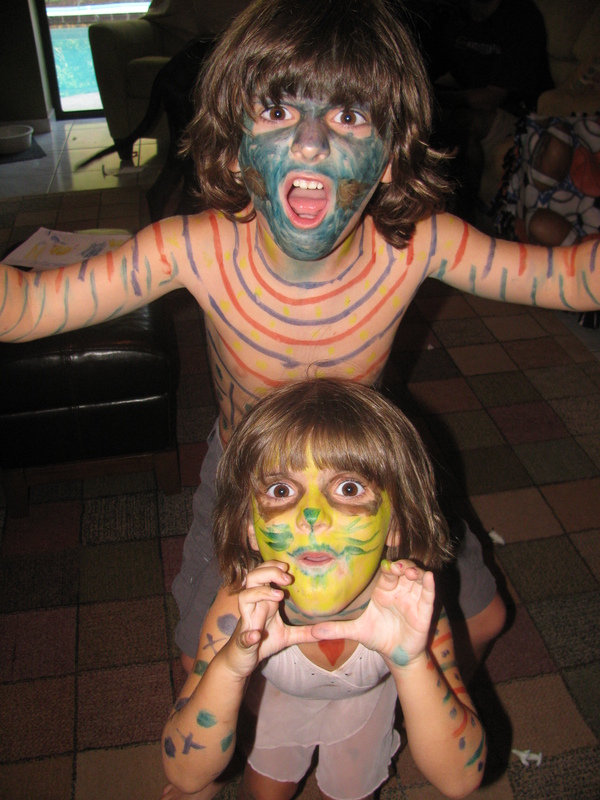 Or there is this one which is hilarious to me.The card reads, “Be Merry” but the kids couldn’t be any less Merry. Too sarcastic? For hundreds of Christmas card designs, click here. Why can’t I decide? This one contains photos of my nephew. Is it weird to send Christmas cards with other people’s pictures on them? This one is probably my favorite because I love this photo of the kids (with Grandma and Mar Mar in NYC). And, it highlights one of the great trips of the year. But still I need help. Please help me decide. If you have any interest in driving yourself crazy with endless options for cool holiday cards, calenders, and even holiday thank you cards. —follow these links to the Shutterfly site. Disclaimer: I received a voucher for 50 free Christmas cards from Shutterfly for writing this post. So, 50 people will be getting Christmas cards for me in my inaugural Christmas card sending year. I’m sure you all know about Lisa of The Lunch Box Project, right? If you don’t–you should. She paints pictures of food on playing cards and does all kinds of interesting food art (not art with food-but art of food). 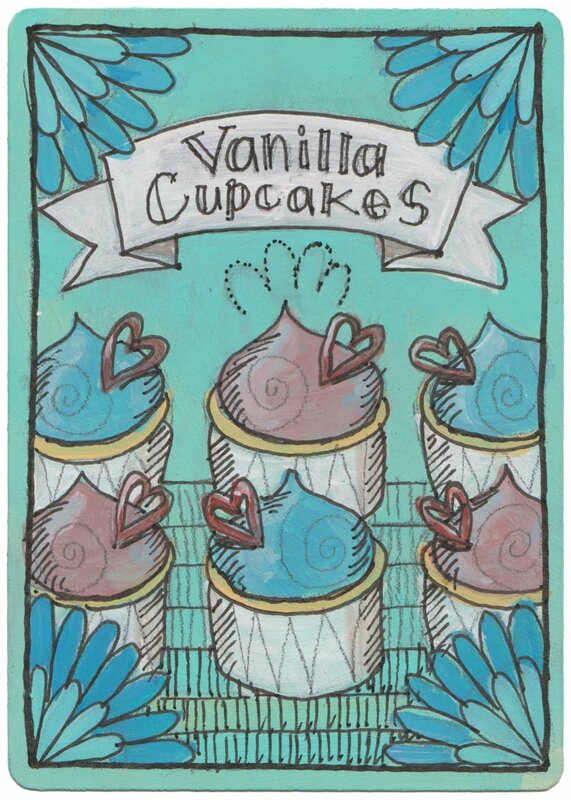 Right now she is working on a poster of cupcakes featuring various bloggers cupcake recipes. And I feel so proud, because she painted my cupcakes! 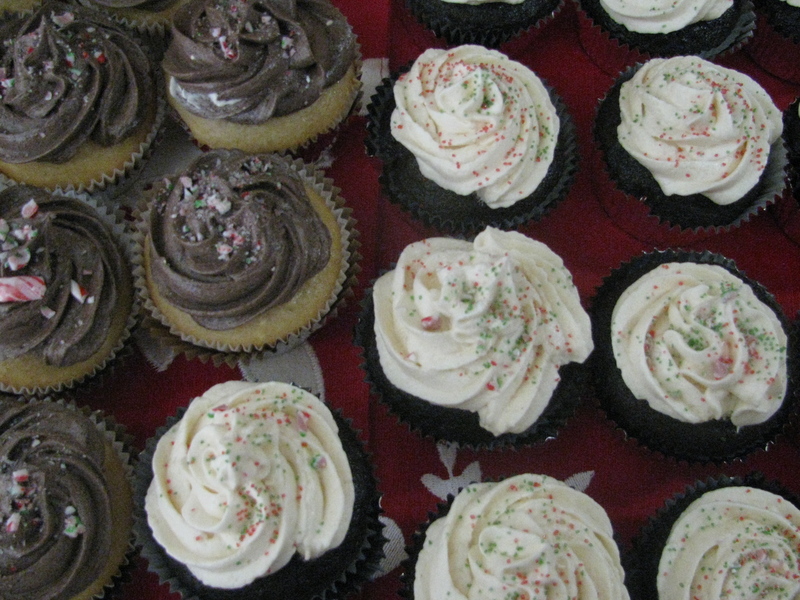 Remember when in the middle of a detox cleanse I made 100 mini cupcakes for the Bean’s school party? Well, she painted them! She is so talented–I wish I had some of that ability. I can’t wait to see the final poster. You can check out all of her other cupcakes at her site. Check out her store as well–there are lots of neat prints that could be the perfect gift for that last person on your shopping list.